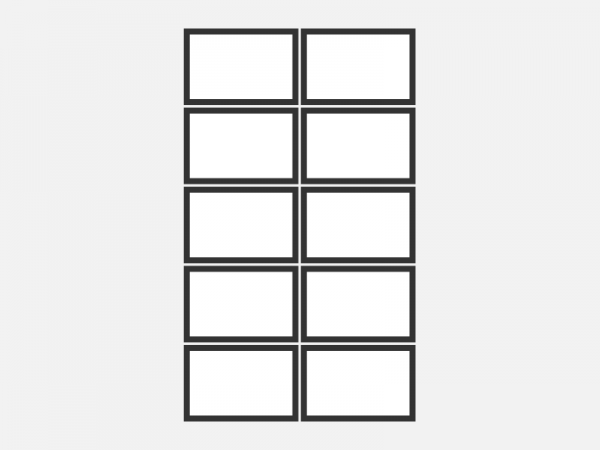 Home » MakeBadger's templates shop » Blank Name Tag template 3×1.25″-76.2×31.8mm. BA4T-004. 8. PSD version. The layered file for Adobe Photoshop. Choose what is more useful for you at this moment. After making a customization you can print your artwork using your printer or save it for further print in a local print shop. A4. 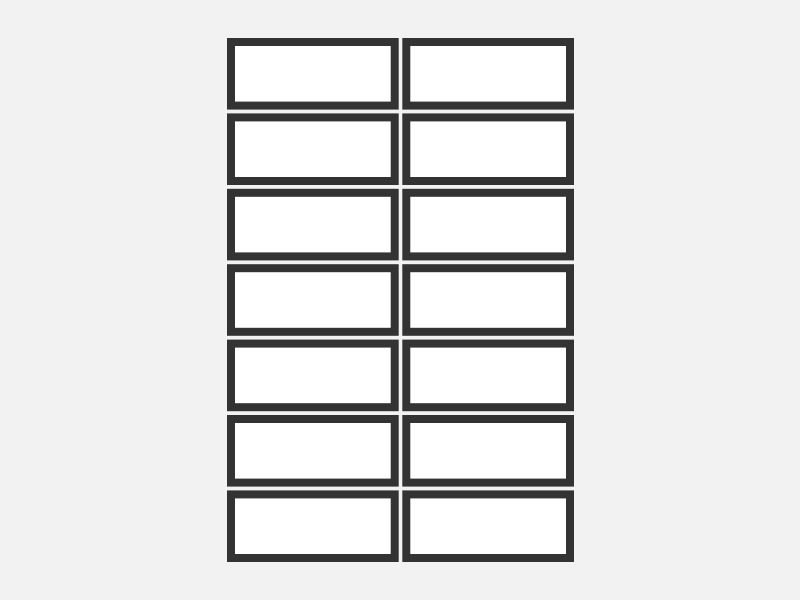 (14 items inside with the crop marks and dashed outlines). 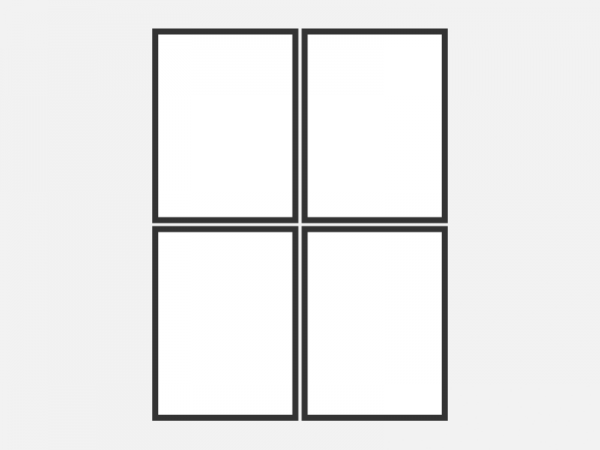 Two modifications – with and without rounded corners. Choose the desired badge size and file format from the bundle files (see the file names). 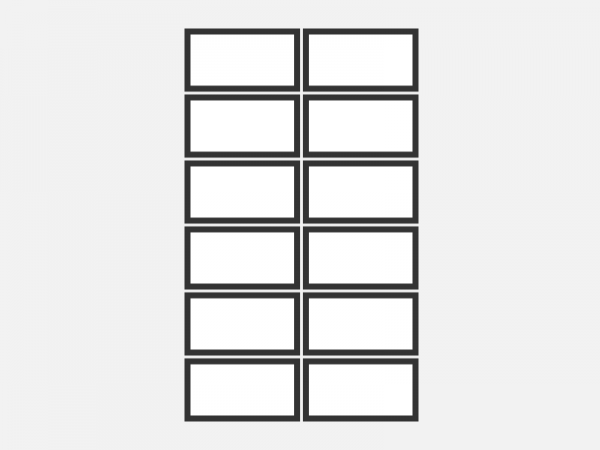 Place your design into a chosen template and multiply it to all the template placeholders in the printable A4 area. (Optional) Save it as a new file or export in another file format. Print your artwork using your own printer. Cut the cards/tags with a paper trimmer or scissors taking advantage of cutting marks.